Keep your fireplace tidy with these stylish holders. With their hinged lids and metal bodies, they are perfect for storing your matches and fire lighters by your stove or fireplace. Keep your fireplace tidy with this stylish match holder. 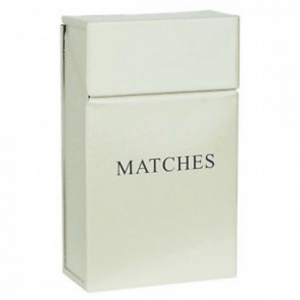 With its hinged lid and metal body, it is perfect for storing your long and cook matches for your open fire.